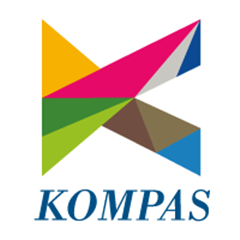 Kompas TV, an Indonesian media company that provides inspiring and entertaining television programs for the family of Indonesia. 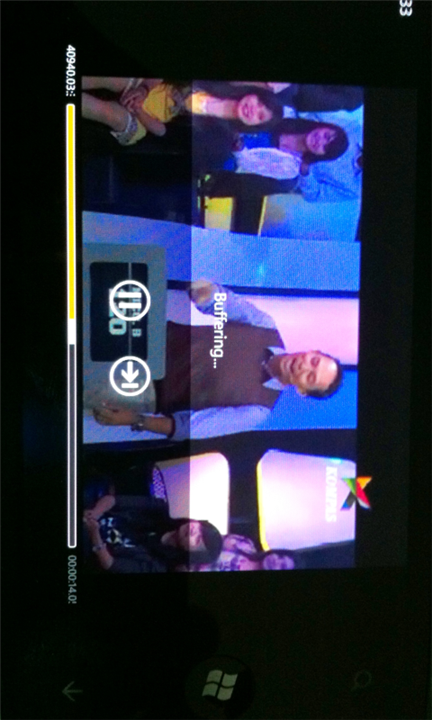 KompasTV application for Nokia Lumia Windows Phone is the 1st Online TV Streaming for Nokia Lumia Windows Phone in Indonesia. 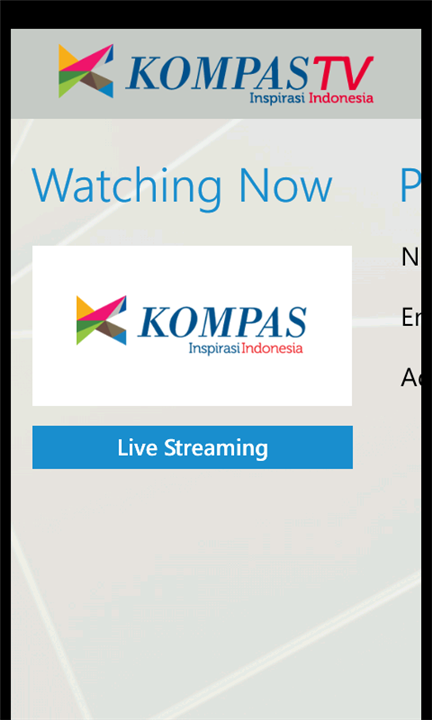 This local application is providing great Kompas TV Online Streaming, TV schedule, Highlights, Program information and many more. 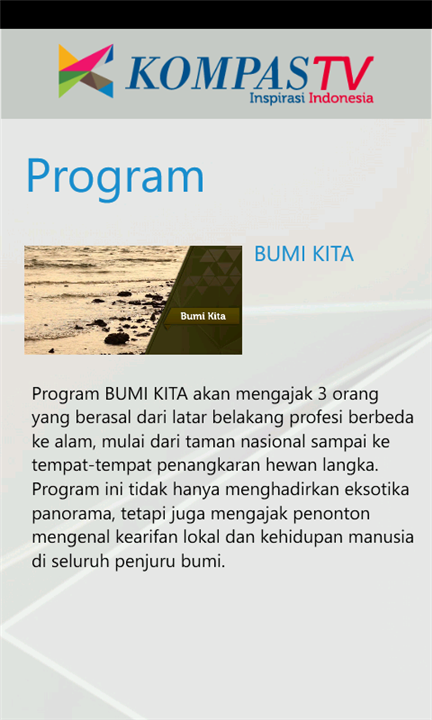 This application is suitable for all Windows Phone 7,5 or Mango.You can use your Internet data plan or broadband WiFi to watch the online streaming.